Seasonal allergies can actually occur all year round and affect millions of Americans each year. These allergies usually cause sufferers to have stuffy noses, itchy eyes and occasional wheezing. For some of the more fortunate ones, these allergies are not too alarming as they can be easily managed with a box of tissues, eye drops and a dose of decongestant. For others, however, allergies can get in the way of daily activities and bring about severe symptoms that can be quite difficult to handle and quite frankly, miserable for the sufferer. 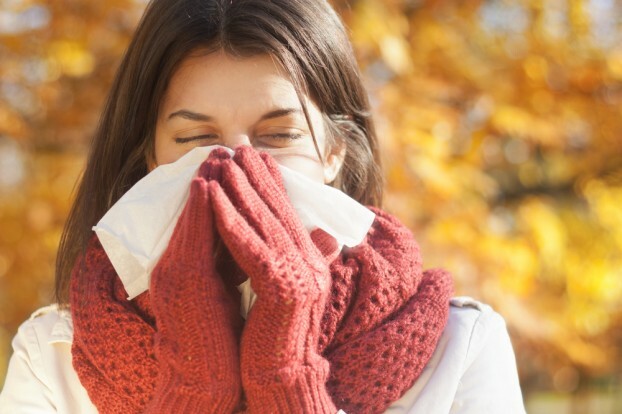 Here are a few hints and tips on how to manage seasonal allergies. Know your trigger. The first thing to do is know what triggers your allergies. The most common allergens are pollen, mold, mites and animal hair. Allergic reactions usually happen almost immediately after you are exposed to these allergens. If you do not know what triggers your allergies, it is best to consult a medical professional to know exactly what you need to avoid. In some instances, allergies are triggered by more than one allergen, so it is best to seek professional advice. There are tests available which can tell you exactly what you are allergic too and in turn, what you should avoid. Avoid the trigger. Now that you know what’s triggering your allergies, your best defense is to avoid it at all costs. For instance, make sure to keep windows closed during pollinating seasons if you’re allergic to pollen. If your allergies are triggered by dust mite excrement, soak your linens and sheets in hot water before washing them. Other preventive measures include keeping your home ventilated and grooming pets outside. You may also benefit from investing in hypoallergenic pillows and duvets and where possible, swop carpet for wooden or tiled floors. Keep antihistamines handy. One of the most common ways to alleviate allergic reactions is taking antihistamines to relieve itching and swelling. Keep antihistamines with you at all times during allergy season. If you have other prescription medication from a specialist, it is also a good idea to keep them in your purse, so you are ready at all times. Stay hydrated. Keeping the mouth, nose and eyes moist is a good way to prevent allergens from entering your body. Staying hydrated during allergy season helps keep your defenses up by making sure that your eyes, mouth and nasal passage do not dry out. When the body is dehydrated, histamine levels shoot up and allergy symptoms start to arise. Remember to drink at least eight glasses daily, especially during allergy season. Get allergy shots. Immunotherapy is another way to manage your allergies. Getting an allergy shot does not cure allergies, but it can definitely keep both symptoms and allergic reactions at bay. Allergy shots acclimatize the body to allergens. Getting regular allergy shots will significantly decrease the occurrence of extreme allergic reactions. Keep these tips in mind to help you manage your allergies or better still, prevent them. If followed, it is likely that your allergies will no longer get in the way of your activities. If all else fails, the best thing to do is to consult a physician in order to determine the right medication and precautionary measures for you, as we are all different. Previous story Touchscreen Technology – How Does it Work?